As I have discussed many times before, breakfast is the meal I struggle with the most. My natural tendency in the morning is to grab a cup of coffee and nothing else until the middle of the afternoon. The men in my house on the other hand wake-up very hungry. My two boys pop out of bed in the morning and want food right away. If I take more than 5 minutes, they start following me around asking why I haven't started their breakfast. Since my husband leaves for work at 6 in the morning I try to make sure that the meals I make for breakfast are quick and easy. I really don't have the energy to go full out at 6:30. However, on weekends I like to take the time to make a more labor and time intensive breakfast. Weekend breakfasts allow my family to talk about what has happened during the week and be together. This weekend I tried a new recipe for Oatmeal Brulee with Ginger Cream from the December/January issue of Taste of Home magazine, which looked delicious and perfect for fall. This recipe has 15 ingredients. It takes 40 minutes of total time, 30 minutes of which is active, and makes 4 servings. I had no problems finding any of the ingredients at my local grocery store. Since I eat gluten-free I used gluten-free oats, however, regular oats would work just as well for people who can eat gluten. I haven't seen fresh raspberries in months so I bought frozen. The broiler on my oven has been broken for years so I used the broiler on my toaster oven. My total broiling time was longer since I used this method, about 15 minutes total. Instead of using butter to grease my ramekins, I used non-stick spray. I followed the remainder of the recipe as written. I loved this recipe. The ginger cream was delicious and the crusty sugar topping was very popular with my two kids. Plus, the time was reasonable for a weekend meal and the oatmeal was perfect with hard boiled eggs for breakfast. This is definitely a recipe I would make again. 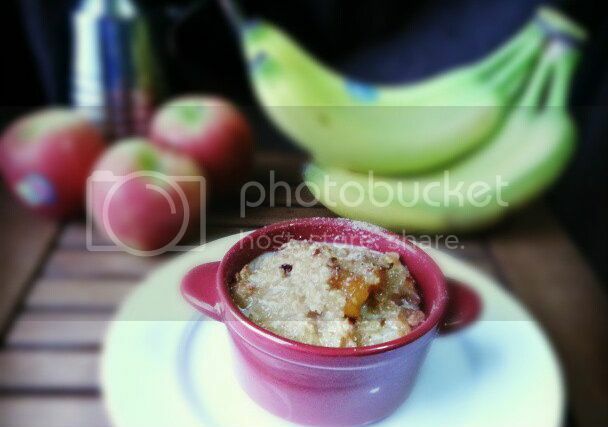 For the recipe go to Oatmeal Brulee with Ginger Cream. Thanks :) They really were yummy!